Who doesn’t love a good soup when the fall weather comes?! There are so many varieties, and one of my favorites is butternut squash. I don’t think I have ever made a vegetable soup from the actual raw veggie, so I thought I would give it a whirl. I bought 2 medium sized butternut squash from my local grocer, did some cooking and mashing and spicing… and out came soup! It was pretty fulfilling to see it come to life from start to finish! Cut the butternut squash lengthwise, scoop out the seeds, and peel the carrots. 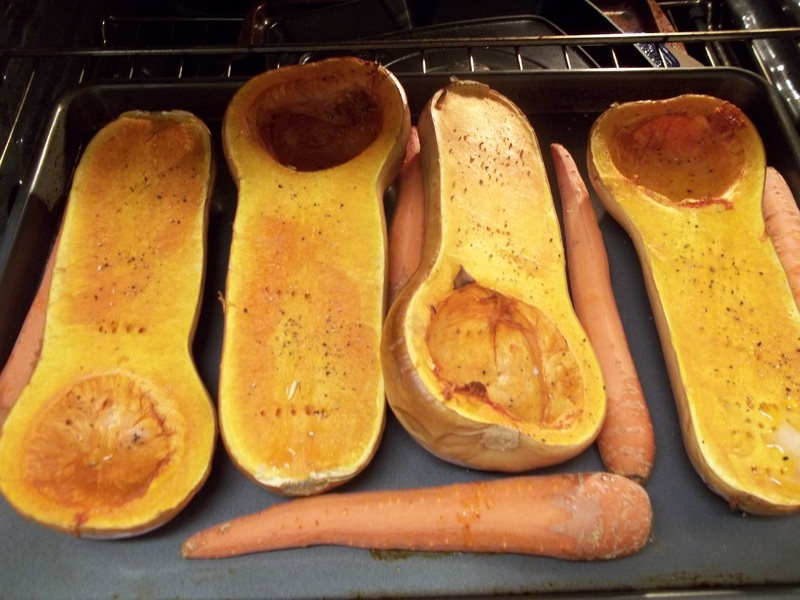 Place the squash and carrots on a baking sheet, sprinkled with salt and pepper. Cook at 375 degrees for 60-90 minutes, until tender. Let the squash and carrots cool, about 30 minutes. 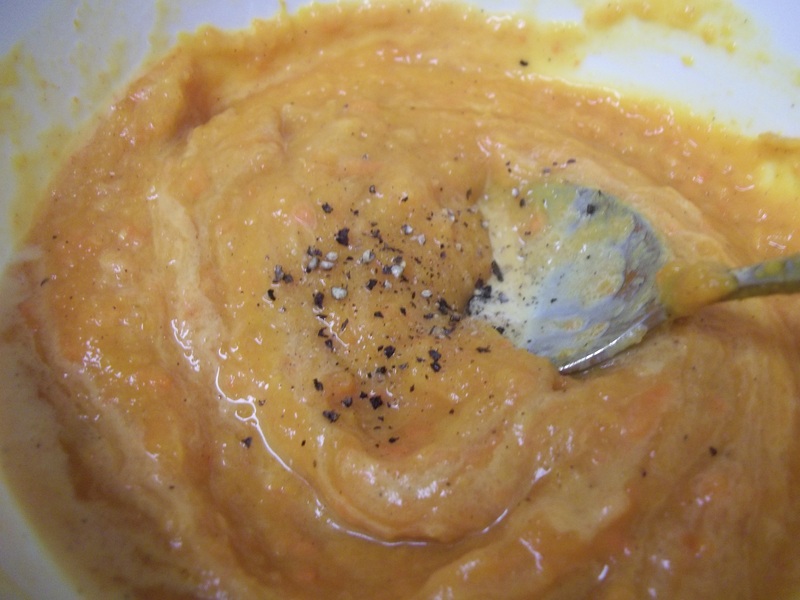 Chop the carrots into small pieces, and scoop out the flesh of the squash, leaving the skin behind. Add to a large pot. Add chopped onions, butter, apple cider, chicken broth, garlic salt, cinnamon, and nutmeg and use a mixer to combine. I use a hand mixer… but you could also add them to a food processor and get the same results. Beat on high until well blended and smooth… to your soup texture liking! Serve with a swirl of dairy free creamer or sour cream, and salt and pepper.